For an important report from NAFBPO, open the hyperlink below. 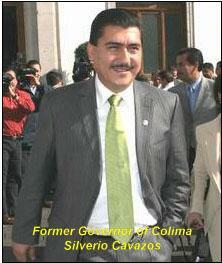 Colima, Colima – Former Governor of Colima, (2005 to 2009), Silverio Cavazos, was shot down by three suspects while exiting the door of his home. Cavazos was hit by three gunshots, one to the neck. Silverio Cavazos Cevallos, of the PRI Party, was governor of Colima from the 5th of April, 2005 to the 1st of November 2009. Current Governor of Colima, Anguiano Moreno, said that Silverio Cavazos was outside his home when three people in a Jeep Patriot, that was reported stolen in Queretaro, drove up to the house and one person got out and fired at least 5 shots hitting the politician three times. The bodyguards of Cavazos returned fire and hit one of the gunmen. Morelia – During the wee hours of this morning, an armed group fired at two people on the streets of Colonia Independencia. One person is in serious condition. The suspects were in two unidentified vehicles. The wounded were transported to Michoacán’s capital city for treatment. 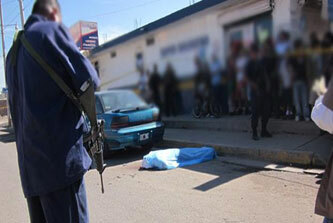 Culiacan – The ex-director of the Civil Protection Agency was murdered by gunshots upon leaving a supermarket. The deceased is Jose Cirilo Martinez Garcia, 44, who lived in Colonia El Rincon. Martinez had entered the supermarket and exited a few minutes later. Witnesses said that when he exited the market, armed subjects were waiting for him with AK-47’s. He laid face down with his head destroyed by gunshots. Mazatlan, Sinaloa – A policewoman, who was a commander of the Municipal Police in Mazatlan, was murdered and her companion was wounded after they were attacked by gunshots. Guadalupe Navarro, 46, was killed and her companion, Roberto Zamorano, was wounded in Colonia Francisco Madero. The police report states that the commander had finished her shift and was arriving home in a white Explorer when she was shot down exiting her vehicle. Her companion, another policeman, received gunshots to the head and the arm. The gunmen were in a green pickup, a black pickup and a Sentra. Durango, DGO – After drug tests to 766 out of a total of 820 agents of the Preventive Police, 10 were fired for having tested positive for drugs, such as cocaine and methamphetamine. Mayor of Durango, Adan Soria Ramirez, said that his administration will not tolerate policemen in which the public cannot have confidence in their ability to respond and that the families in Durango need to live in peace and tranquility. New York – The Illinois Representative Luis Gutierrez, who was in New York campaigning Congress to pass the Dream Act and for the government to stop deportations, called on the activists to protest outside the offices of Republicans, not Democrats. In an interview with El Diario La Prensa, Gutierrez said it is a waste of time and meaningless to march outside the office of Congressman Robert Menendez, for example, instead of going to the office of one of the Republicans. Gutierrez believes that the Dream Act has a very good possibility [of passage] that this week legislative preparations will be made and the bill voted on after Thanksgiving. Gutierrez will participate today in a protest along with Congresswoman Nydia Velazquez, City Council Speaker Christine Quinn, public officials and immigrant rights organizations to stop deportations, pass the Dream Act, ask Governor David Paterson to cancel the Safe Communities program and ask the Mayor Michael Bloomberg to govern the presence of ICE in the Rikers Island jail. Gutierrez, from his hotel in Manhattan, blamed President Obama’s unwillingness to pass comprehensive immigration reform. “We have a President who said he would make this a priority and did not make this a priority. It’s as simple as that,” he said. The congressman also expressed his anger over the President’s trip to Asia after the elections and says he lost two weeks crucial to reform. “It’s like George Bush took many days to realize what was happening in New Orleans. He knew what was coming, and took a trip of ten days. Ok. These ten days were lost,” said Gutierrez. “… there is no accountability here, but if one in ten of the Republicans would have said let’s sit down and talk about immigration, this [immigration reform] would have been done,” said Gutierrez. With the defeat of Democrats in Congress, Gutierrez said that comprehensive reform is an opportunity that was lost and now must fight for the Dream Act and to halt the deportations. Gutierrez believes that to achieve this there must be a coordinated national coalition of more than one million people, where the acts of civil disobedience coordinated, and sustained, which integrates the likes of Juanes and Shakira, and where Obama has no way to avoid reaction. “This president will continue the deportations until you feel it is not acceptable,” said Gutierrez, adding that although there have been acts of civil disobedience, they have not been coordinated, meaningful or sufficiently visible. 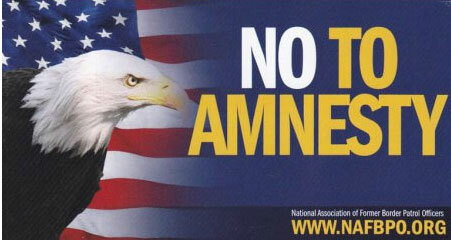 The congressman’s campaign applauded the Coalition of Immigrants in New York who are sending pens to Obama as a pressure to sign the reform and said the campaign should be expanded nationwide. On the criticisms that have been made by pushing the Dream Act vote rather than comprehensive reform, Gutierrez said it was never his idea to start pursuing the act, but has always fought for reform. But given the current political situation where the reform is not a real possibility, it would be irresponsible not to push the Dream Act separately. “Activists [for the] Dream Act I repeat: go Republican. We are already with you, go get the other side and we will win,” Gutierrez finished. This entry was posted on November 22, 2010 at 13:47 and is filed under Uncategorized. You can follow any responses to this entry through the RSS 2.0 feed. You can leave a response, or trackback from your own site. Looks like Congressman Gutierrez is openly advocating civil unrest. That’s a very dangerous course this man has taken and he should be taken before a the House ethics committee. Maybe we can get a “two for one” deal by sticking him up there along side Charley Rangel. BTW – like the way you guys added a domestic section to the M3. Good to know the effect this “invasion” is having on this side of the border.